The 1960 Summer Olympics are the first time that Medals will come with a chain or ribbon to place around the neck of athletes. Previous to this medals were simply large coins, but were not worn around the neck. 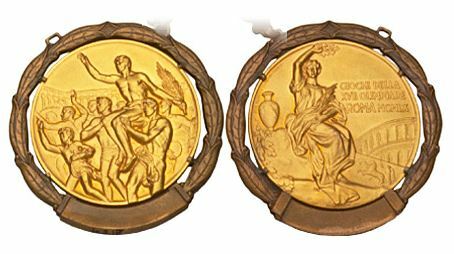 For this Olympics the Medal is surrounded and hung from a chain composed of leaf-motifs.